It might seem inessential, or even trivial, but on-boarding sets up an employee’s entire experience at a company. Even at management level, on-boarding is essential - it’s the difference between throwing someone into the deep end versus wading in. We tend to think of on-boarding only when hiring a new employee, but it also needs to be considered when promoting a teammate to the managerial level. New manager employee training sets up a manager for success, instead of inevitable confusion and failure that can come with lack of adequate preparation. It’s obvious once you think about it, but on-boarding really starts during the interview process. With a robust job description, you’ll set up the expectation and skills required for the position. Also, interviewing is the perfect time to set up what additional employee training and development may be needed for the role. In the case of on-boarding a current employee into a management role this also applies. Start discussing what a management role would require early on in the promotion process. Having a candid conversation about the role during the interview also gives your team an idea of how much training and development will be required on the job when the new manager assumes the position. Talk about strengths and weaknesses in the interview, and even start setting up hypothetical timelines for skill training. Don’t be afraid to talk about nitty gritty details - do they know your software platforms? Will they need training on company processes? Knowing what assistance a manager needs before he or she even starts a strong foundation for growth - you’re setting a manager up to succeed and learn, rather than expecting him or her to know everything on the first day. On-boarding will vary dramatically from workplace to workplace based on company size and role, but at its core, on-boarding should focus on getting settled into a workplace and role. That being said, make sure the on-boarding programming, whether it be training or introductions, suits your company. Understand that the sooner a new manager feels comfortable or settled into a new workplace, the faster he or she can truly dive into a role. Making someone comfortable in the workplace isn’t merely providing introductions or showing where the bathroom is; it’s getting a comprehensive understanding of people’s roles inside the company, and where the manager will fit in. Plug time into on-boarding for one on one meetings with employees, so a manager can get a feel for his or her place on the team. Don’t neglect this step in the case of an internal promotion. Have the newly minted managers meet with their teams, as a manager, to understand how their role in the company has shifted. This might sound tedious, but remember, setting up a solid foundation for a new manager leads to higher satisfaction in the role overall. Often, managers feel pressure to dive in and perform right away. This can lead to misunderstandings, miscommunication, and frustration all before a manager even has an overall understanding of the position. For the existing team or veteran employee turned manager, it might feel redundant, but the more a manager knows from the outset, the more efficient he or she will be in the position. Encourage lots of questions and discourage pressure to kick off projects on the first day. Coming into a new company can be stressful for even the most seasoned manager, so make sure a mentor or HR professional within the company always keeps in touch during the on-boarding process. No matter how comprehensive an on-boarding program may be, it’s entirely understandable for a new manager to be overwhelmed. Take time to check-in: Do they have any questions? Are expectations of the role matching reality? Setting up this dialogue early on will only accelerate comfort levels in a new role. If you’re on-boarding a current employee into management, this step becomes even more essential. Take care to check-in in these cases--how have relationships shifted? Has there been enough discussion regarding expectations? While it tends to be an afterthought, on-boarding is an employee’s first impression at a workplace. On-boarding might not be all encompassing, but the process should leave a new manager with a greater sense of agency and understanding of his or her role and expectations in the workplace. Even in a managerial role, on-boarding will set a new hire up for success. Human resource management can be difficult, so why not have an expert help you out? Set up your new managers for success by having them work with a coach they can trust. 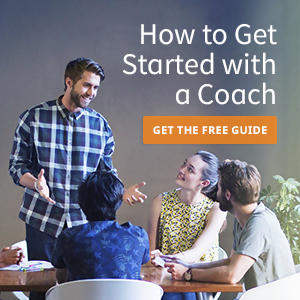 View all of our expert, hand-selected coaches and find one that works best with your employees!